Bingeing — it’s what TV fans do, right? They make a big deal of it, discuss it with their friends, write about it online, to the point where it has become an all-too-familiar phrase referring to watching every episode of a series in a row, over a short span of time (most always through a streaming platform, because Americans is the laziest peoples…). Here’s a super-secret: Culture and entertainment fans have been doing this since... well, forever. Fiction readers have “binged” their favorite writers, music junkies have listened to their favorite artists for weeks/months at a time, and cinephiles have gone to film retros of their favorites for eons now. And all these long-established methods of bingeing involved (gasp) leaving the house, to gather and/or experience the work! One of the utter joys of living in NYC is being able to see all of a filmmaker’s work in a short span of time in a theater. 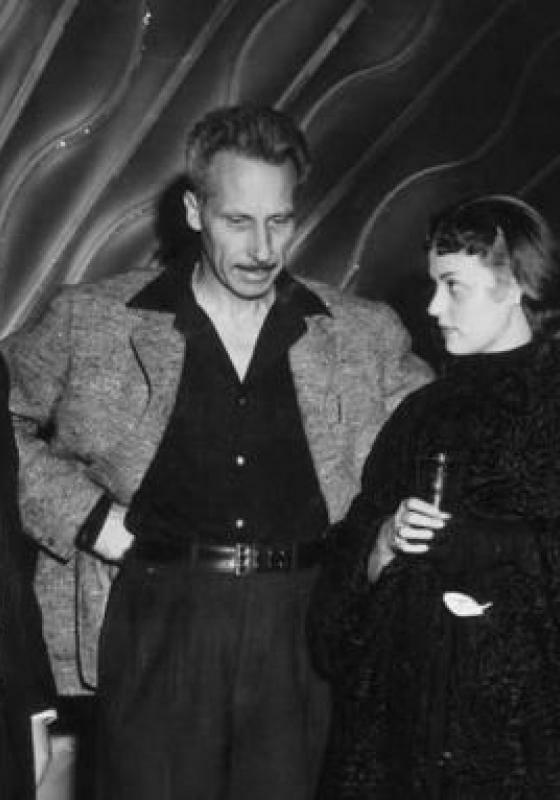 Thus, an occasion like the Film Forum’s comprehensive Jacques Becker festival, which ran from Aug. 1 to Aug. 16, was a festival not to be missed. It allowed me to see all of his rarest films in one short span of time — since then, I’ve rewatched two of the films and read two books about Becker (see references at the bottom). Becker is an unusual case for American film fans. 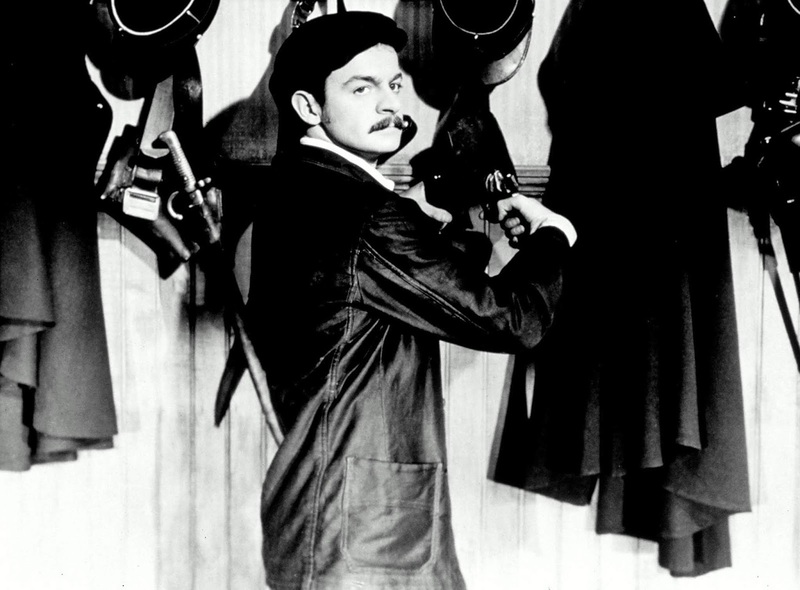 Three of his films, undisputed classics (Casque d’or, Touchez pas au grisbi, Le Trou), have pretty much always been in circulation in the U.S. — all available on DVD at the current time. But, aside from a VHS release of two others (Antoine and Antoinette and Rendezvous in July) in 1998, his other films have been out of circulation over here. Becker died prematurely but accomplished much in his last two decades. 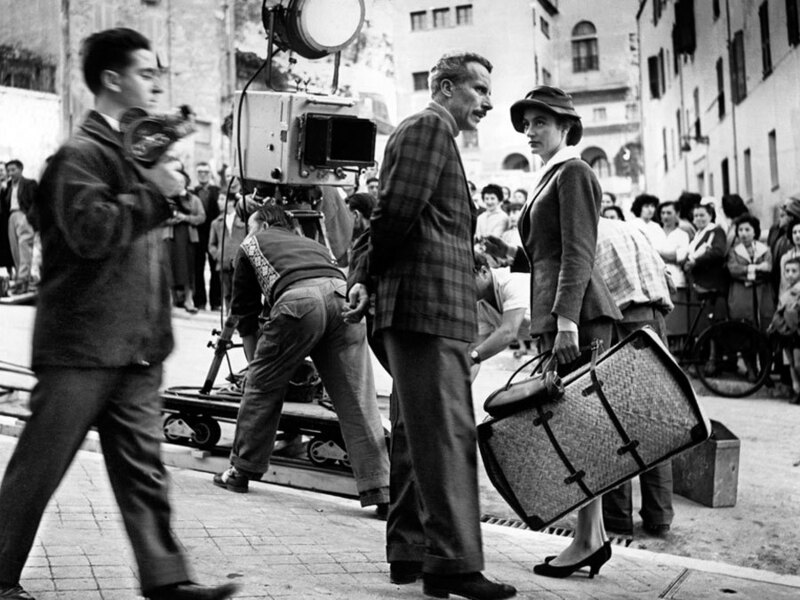 He went from being an assistant director to Jean Renoir in the 1930s to making films of his own during the Occupation, following his release from a German prison camp. He forged a recognizable style, distinguished by his meticulous visuals and attention to detail, and even more recognizable subject matter, in the Forties and Fifties, and died at the age of 53 in 1960 of hemochromatosis (a build-up of iron in the bloodstream). 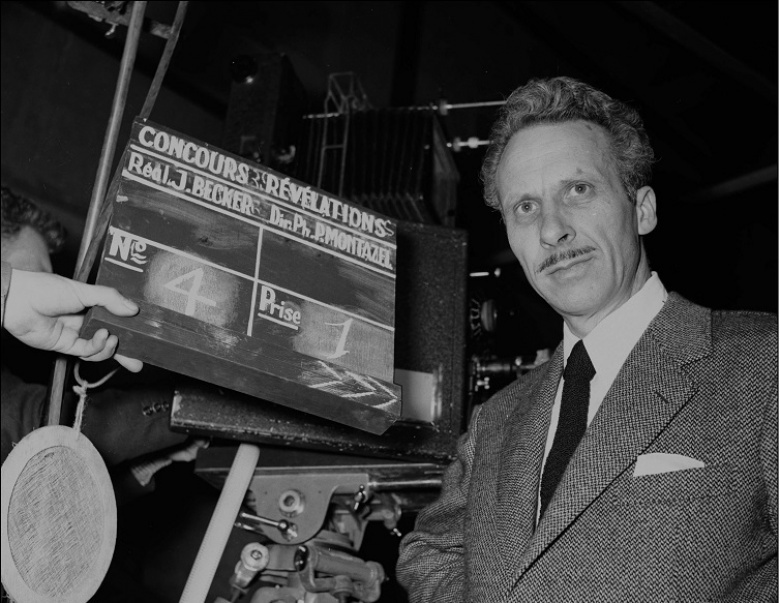 The Film Forum retro featured all 13 of his features and the films on which he assisted Renoir. While I didn’t see the films in chronological order, it was more than apparent that Becker got better and better as a filmmaker from ’42 to ’60. He blended the humanist concerns that he surely drew from Renoir with a vital visual style that only got “showy” when he was intent on probing a character’s dilemma — and then a super-tight close-up was used. It’s easy to see how his work influenced the French New Wave, who wrote favorably about his films when they were critics. His use of real locations in romances like Antoine and Antoinette influenced Truffaut and Godard, but his focus on common characters — both in the forefront and as marginal “color” — is reflected in the early work of the New Wave directors. 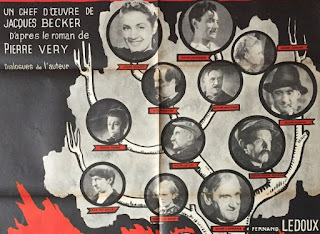 Coincidentally, Becker completed 13 features, as did his countrymen and colleagues Jean-Pierre Melville (an admirer of Becker’s work, who died at 55) and Robert Bresson (who lived to the ripe old age of 98). Out of the 13 features he directed, eight are absolutely terrific, two are very good, and three are uneven. 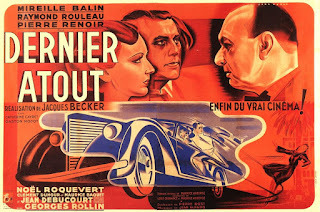 His first feature, Dernier Atout (1942), was made during the German Occupation of France, and so it avoids political (or even humanist) messages entirely and is merely a frothy bit of entertainment. Oddly set in South America, the plot involves two French student policemen who compete for the distinction of being the school valedictorian. The slightly cross-eyed character actor Noel Roquevert (a favorite of Becker’s) plays their boss, and their assignment is to apprehend the second in command of an American crime ring. Goupi Mains Rouges (1943), besides having a wild name (“Goupi Red Hands”), is Becker’s first masterwork. An uncategorizable picture that radically changes tone at least twice in its running time, Goupi starts out as a familiar tale of a city slicker visiting his (very) small town relations (the titular Goupi clan). His visit is initially quite nightmarish, with menacing events including a whipping and a murder. 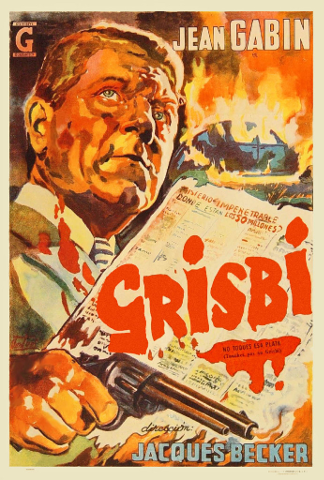 The film then adopts a lighter tone as the city/country rift is emphasized, and then in its third act it is a well-constructed mystery that finds the most “backward” of the characters (the city slicker’s uncle, nicknamed “Red Hands”) turning into a sort of detective solving not only the murder, but the matter of where the family “treasure” is hidden. An incredible leap forward from Atout, Goupi shows Becker in a more assured mode, switching effortlessly from genre to genre, and starting to use some of his trademark techniques, including an evocative use of music and a carefully subdued visual style. 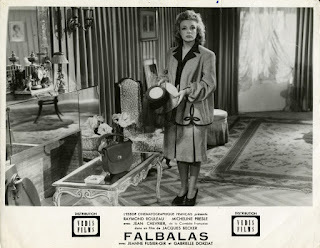 Falabas (1945) presents more refinements, as this completely sincere yet wonderfully over-the-top melodrama begins with the sight of a dead man and a female mannequin lying on the sidewalk being gaped at by a group of women. We then track backward to find out how and why the “couple” landed there. With its tragic resolution already established, the film moves through its paces beautifully, as we see a ladies’ man fashion designer fall madly in love with one of his conquests. Becker adopts the tone familiar to “women’s pictures” of the time but also moves the film quite deftly into obsessional territory, portraying the designer’s amorous fixation as une amour tres folle. Unlike the rather lengthy-for-its-plotline Atout, its 110-minute running time is perfectly utilized to show the designer’s increasingly crazy passion. 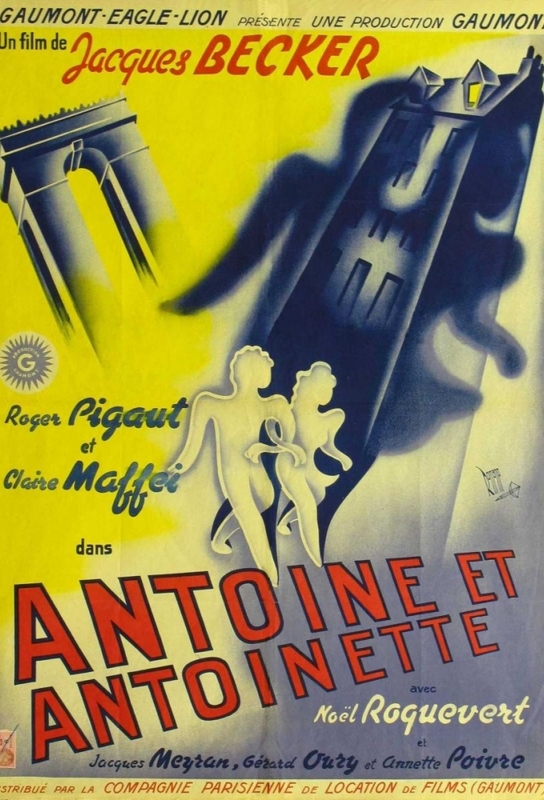 Becker’s fourth film, Antoine and Antoinette (1947), set the standard for Becker’s excellent run of love stories, which took place in a recognizable, realistic environment but contained fanciful plot twists and coincidences. 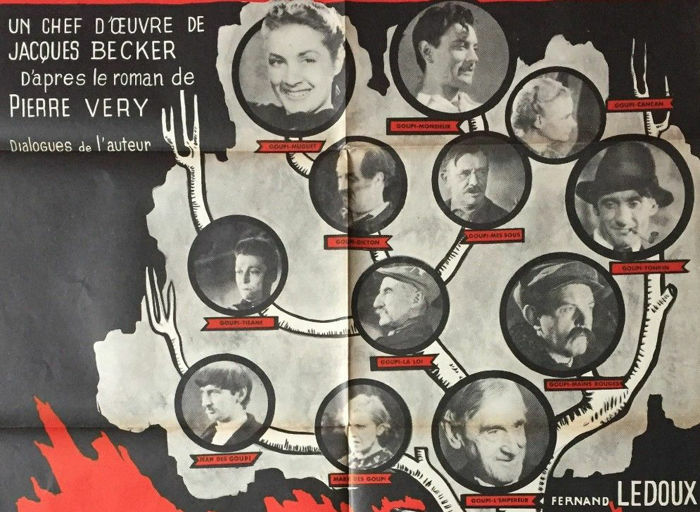 The film is considered the first of Becker’s “youth trilogy” — that term being a critical invention, since the films do not overlap in any way and the notion of a trilogy leaves out the fourth “young love” film, Rue de l’estrapade (’53). The plot is wafer-thin but beautifully executed: A young married couple are living on a tight budget until the girl (Claire Maffei) buys a winning lottery ticket… and the boy (Roger Pigaut) loses it in the Paris metro. Here Becker devotes a good deal of time to setting up the characters and their colorful environment, an apartment building where the neighbors know each other very well, to the extent that one of Antoine’s friends (and Antoinette’s admirers) climbs out of his window and moves along the ledge to enter the couple’s apartment for a conversation. The only villain in the piece (besides fate, which lets Antoine lose his wallet with the lottery ticket in it) is a lecherous grocer, played by Noel Roquevert. One can see a clear line between Antoine and the later work of the New Wave. All of that younger generation looked up to Renoir (from whom Becker was carefully borrowing), but Truffaut’s work most clearly shows the influence of Becker. Many beautiful shots of Paris punctuate Antoine, prefiguring the shots of Parisian landmarks that appear in the first few films of every critic-turned-filmmaker in the Cahiers “posse” of nouvelle vague filmmakers. Becker also veered away from his mentor Renoir (who specialized in long takes) by including hundreds of shorter shots in Antoine. 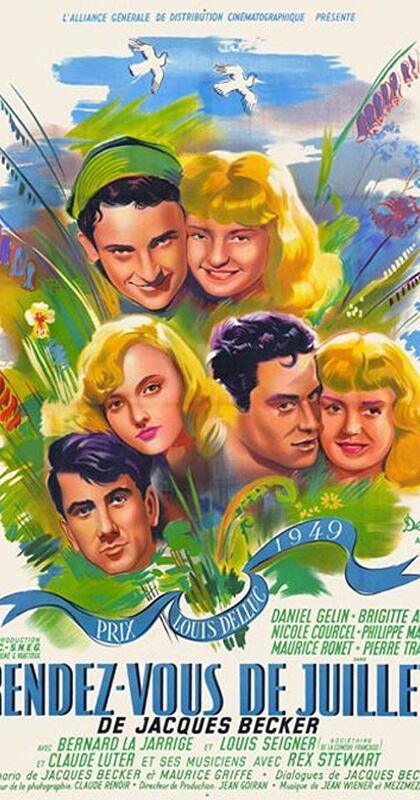 Rendezvous in July (1949) was the centerpiece of the retro, since Film Forum programmer Bruce Goldstein’s Rialto Pictures has acquired it for U.S. distribution (meaning, hopefully, there will be a fourth Becker film released by Criterion). This is the first time Becker adhered to an element he perfected in the next few films — presenting a story that has already begun (with the younger characters being differentiated from each other through a series of phone conversations that establish who each one is). The Spanish critic Eulalia Iglesias points to Rendezvous as “the first film to treat the notion of youth culture.” [“Comedies of love, freedom, and youth,” Jacques Becker, 2016, p. 75] Given the fact that American movies had only previously focused on teens who were super-wholesome (the Andy Hardy pictures) or in a gang (the “Dead End Kids” movies, and later Forties dramas like City Across the River), Rendezvous is indeed an “early” study of young people who are neither ridiculously wholesome nor endearing crooks. The film is just as charming as Antoine and yet it is not as sympathetic, because it is a group portrait and thus has more protagonists. The group-portrait aspect makes it a more fascinating time capsule, dwelling on the cultural fascinations of young people (college-age and twenty-somethings in this instance). Different viewers will latch onto different scenes as favorites. The jazz club scenes are the most joyful, while the moments in the theater-class are great satires of both pompous acting teachers and hammy acting students. The centerpiece of the film, though, is clearly the scene where the ethnographer freaks out on his fellow bohemian buddies, who have informed him that they can’t go on an expedition with him that was to be the subject of a documentary they would film as a team. The scene seems to be one that could have easily utilized Woody Allen’s “author’s message” thought balloon (from What’s New Pussycat? 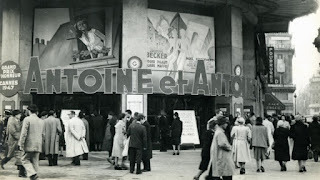 ), as Lucien (Daniel Gelin) tells his friends to “wake up, dammit!” and laments that the French aren’t making films (read: thoughtful auteur cinema, as distinguished from what the nouvelle vague writers later called the “tradition of quality” features). While the scene is overly preachy, one can see how it inspired (again!) 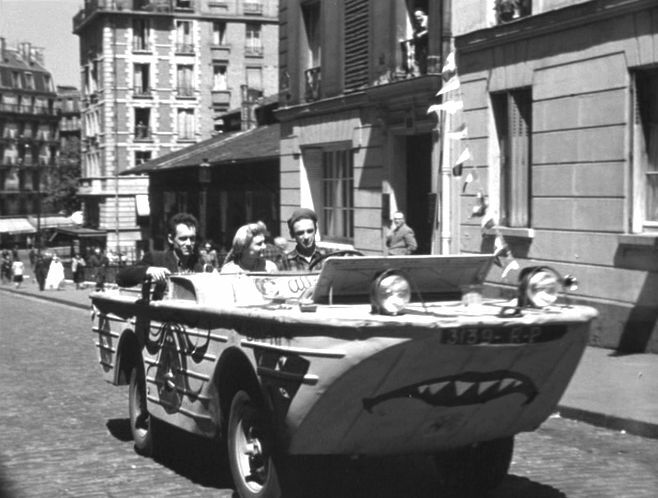 the nouvelle vague critics, who were fed up with the films that Truffaut branded “le cinema de papa.” In a way, the sequence in Rendezvous is a “manifesto” moment in a film that has its share of dramatic sequences, but which will be best remembered for its light-hearted interludes — as when the lead characters ride together throughout Paris in an amphibious vehicle left over from the war (that takes them through the streets then into and across the Seine, and then back up on land) to drop off and pick up their little inner circle of friends. 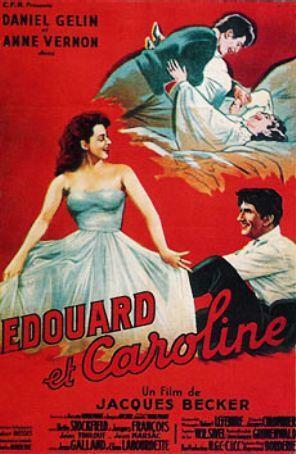 Becker’s next love story, Edouard and Caroline (1952), is another beguiling concoction but, in comparison to the preceding two films, it comes off as a filmed play. 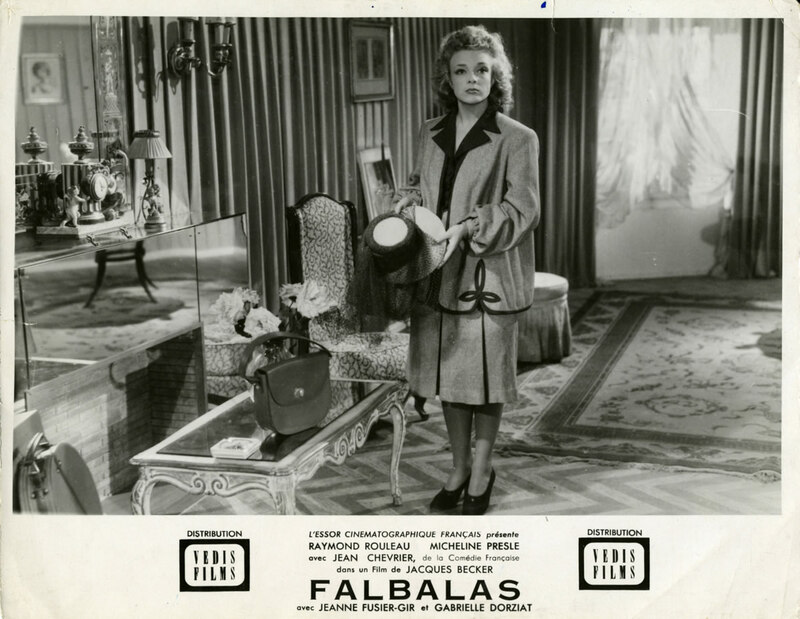 The plot concerns a classical pianist (Daniel Gelin) whose wife (Anne Vernon) comes from a rich background. Her uncle is having a private party at which the pianist will perform — that is, if the couple can overcome their arguments. Interestingly, this film and his last young-couple film, Rue de l’Estrapade, were scripted by his real-life partner Annette Wademant. Perhaps this is the reason that Caroline and the female protagonist of Estrapade (both played by the wonderful Anne Vernon) are among the most fully realized women characters in Becker’s work? A beautifully constructed blend of romance and crime, the film is set in the “Apache” world of La Belle Epoque and the script was based on real-life individuals (whose fates in many regards were not as sad and doomed as the characters in the film are). Meek-looking Manda (Serge Reggiani) slays a gangster in a knife fight over the gangster’s moll (Simone Signoret). He and the moll then have an idyllic time together until Manda’s friend is arrested for the murder of the gangster, and Manda has to decide what to do. The film works on many different levels, but most of all it is a moral tale, featuring a character with a very strict code of honor in a thoroughly dishonorable community (this emphasis on honor was one reason Casque was a favorite of Becker’s colleague Jean-Pierre Melville). The plot moves toward an inexorable conclusion and one of the best finales in Becker’s works (and cinema history), a heartbreaking gesture by Signoret that remains in the memory. 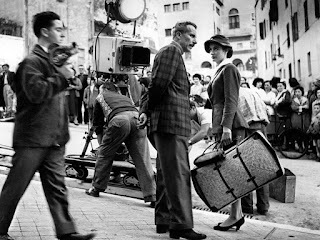 Signoret and Reggiani are sublime in the film, and it loomed large in their filmography for the rest of their lives. Serge Reggiani in Casque d'or. 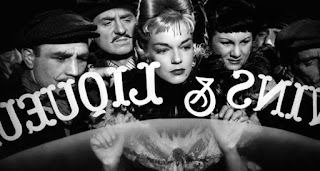 A wonderful bit of connecting-the-dots (which is what this blog and the Funhouse TV show have been all about for the last 25 years) appears in the bilingual book Jacques Becker [Festival de San Sebastian/Filmoteca Espanola, 2016, pp. 108], where it is noted that the memorable song “Le Temps des Cerises” is used at the end of Casque. This Utopian song, identified with the French Commune and then the Popular Front in the Thirties, has been used by filmmakers to summon up a feeling of a “paradise lost” (or about to be regained?). Carlos F. Heredero notes (in his “Melancholy elegy for a defeated Utopia,”) that the song was later used prominently by other Funhouse deities – namely, Alain Tanner in his classic Jonah Who Will Be 25 in the Year 2000 (1976) and Aki Kaurismaki in his dialogue-less melodrama Juha (1999).